When a loved one needs help around the house, you might do everything possible to avoid it. Maybe you pretend that their problems aren’t as bad as they seem or that they’re just in a temporary funk and that they’ll come out of it. Maybe you’re more proactive and you find a way to spend more time at their home helping them with everything from cleaning to cooking to bathing. While this can be a great way to spend more time with them, that much extra work can have a negative impact on the rest of your life. When you consider hiring someone, the potential costs scare you. So what can you do? Call #1 in Home Care today! We are the New Orleans’ premier provider of high quality in-home care. Not only can we take your loved one to and from their appointments, we also help with house cleaning, cooking, personal hygiene, and more. Basically, we can take care of any non-medical needs that they may have. Best of all, our services are very affordable. We have low hourly rates that make paying out of pocket possible, but we also work with many different insurance providers. Contact us today to find out if we can take your insurance or if there is another way we can provide affordable care. Read on to learn about some of our services and some common types of insurance or assistance that we take. Whether your loved one has gotten to an age where they have difficulties taking care of themselves or they’re recovering after an accident, surgery, or medical condition, we’re here to make sure that the rest of their lives aren’t too drastically affected. We’re here and ready to help them keep their house clean, do their laundry, cook for them, or take them to get groceries or to any other committments they have. Our staff is carefully vetted and chosen because they love to help people and they do so in a dignified manner. 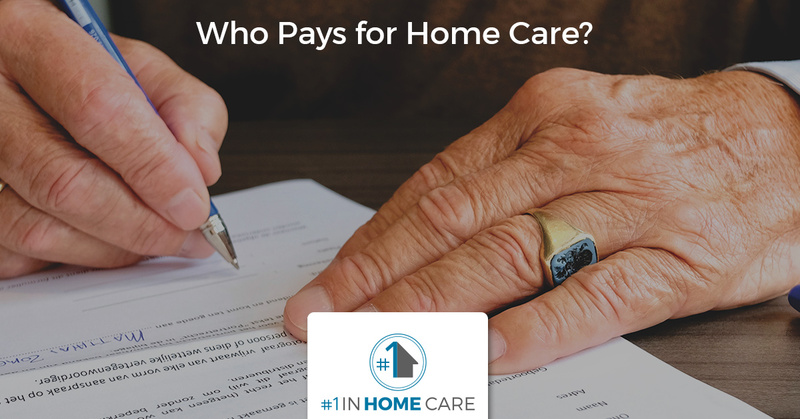 Luckily, many insurance companies recognize how important in-home care services are. They understand that it is often more affordable to pay for help than to have to pay for hospital bills after one of their clients has been injured or sickened by something in their environment. At #1 in Home Care, we take many of the top long-term care insurance policies in the country, as well as Medicare and Veterans Administration benefits. In addition to insurance and government benefits, we also offer payment plans that work with your budget. Contact us today to find out how we can help you or your family member obtain the care that they need to continue living at home where they are happiest. We can provide you with an estimate as well as tell you more about what we can provide in terms of transportation, cooking, and cleaning. We look forward to speaking with you about your options in home care in New Orleans and the surrounding areas.